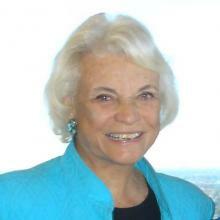 Justice Sandra Day O’Connor retired from the United States Supreme Court in 2006 and committed herself to two things she cares passionately about: judicial independence and civics education. In 2009, she launched the Quality Judges Initiative at IAALS. She has served for more than five years as the honorary chair of the O’Connor Advisory Committee to the initiative. After joining forces with IAALS, Justice O’Connor worked with the O’Connor Advisory Committee to develop what has become known as the O’Connor Judicial Selection Plan. The O’Connor Plan is a four-part recommended process for selecting and retaining state court judges who inspire public trust in our courts and the integrity of their decisions.